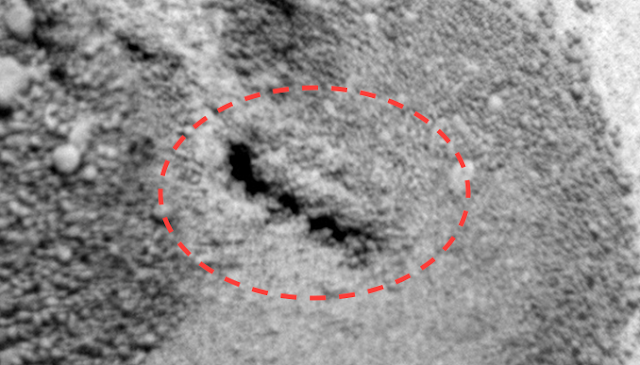 UFO SIGHTINGS DAILY: Worm Found On Mars, Moves! @NASA Microscopic Camera, June 13, 2016, Video, UFO Sighting News. 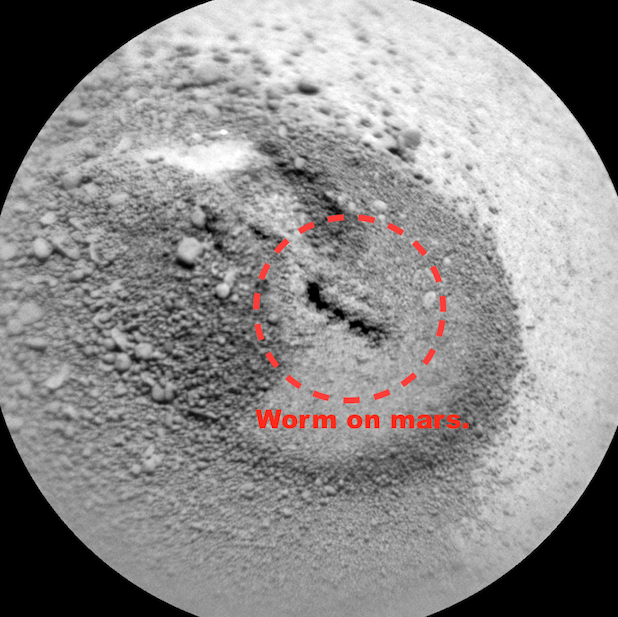 Worm Found On Mars, Moves! @NASA Microscopic Camera, June 13, 2016, Video, UFO Sighting News. 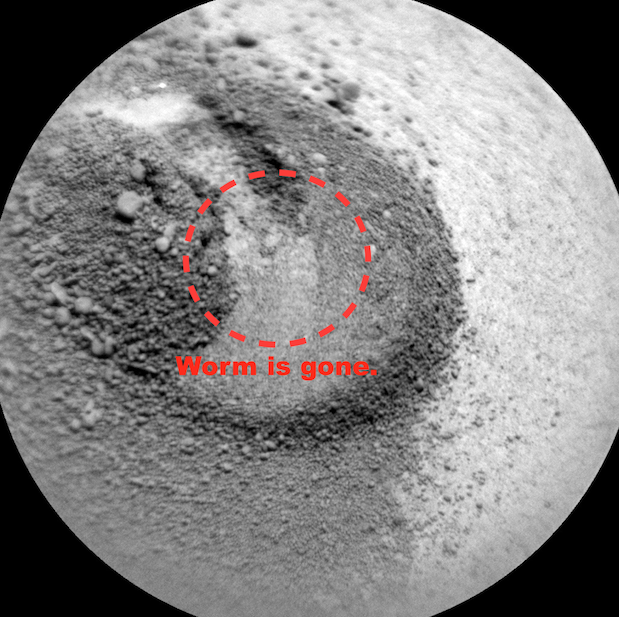 Today in the newest batch of Mars Curiosity rover photos I found a worm in the microscopic camera. This same camera took two photos just 18 minutes apart. The first camera shows no worm, but a place the worm is buried. The second photo 18 minutes later of the same location shows the worm had crawled out. How can this be? NASA has not yet announced any life ever found on Mars and yet this is the second worm I have found in only a few months. The funny thing about both the worms...they look the same! They do, and NASA had to have seen them, but still they haven't said a single word. So, tell me why is NASA not responding about these discoveries? 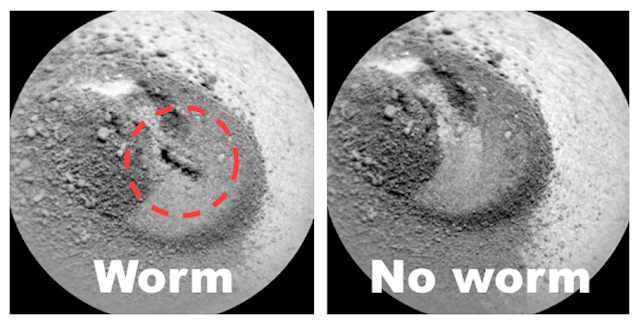 Why is it so bad for the public to know that life still exists on Mars? Is NASA really afraid of a little worm on Mars causing chaotic anarchy across Earth? Look, I will tweet to NASA about this and also Obama and the Secretary General of the United Nations. I can only make them aware of the discoveries, but they may not care.